It doesn’t matters if you are a teenager or you are an old person in some point of your life you always need expert advice in your life. A small advice can play a vital role in your life and can help you in taking the life-changing decision in your life. You can get such advice from anywhere like from your friends, parents, etc., but sometimes you need advice from a person who is much experienced, who can help advice you some better ways to tackle the situations. There are many types of experts, or we can say psychic advisers like tarot card and palm readers, love psychics, clairvoyant, mediums, fortune telling, dream analysis, astrology, etc. And there are various types of apps through which you can contact all these expert directly from your device only, and in this post, we are going to share a list of Best Spiritual advice apps for iTunes- iPhone & iPad. 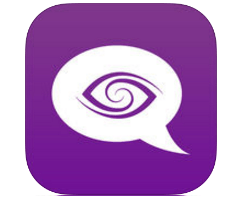 It is one of the best psychics advice apps you could find on iTunes. It consists of some worldwide highly rated experts who are available 24 hours to serve their clients. It includes some of the famous love psychics, mediums, Tarot pros, astrology and Vedic astrology experts. Here are some highlights of it have a look. Only screened and highly rated experts are there to serve their clients. There are various ways through which customers can interact with experts like live interaction, chatting, phone calls and emails. All the experts available give nonunbiased helpful advice to their clients so that their clients get maximum benefits from it. Full confidentiality is provided to users. You can go with Best Psychics and can get first 3 minutes of advice free ( for every new psychics expert of a category. Use it and make your love or professional life better. It is also one of the best available spiritual advice platforms available, through it you can get some very helpful advice regarding your love life, marriage, etc. You could also get some useful advice for the various important decision of your life. There are different types of experts available who give psychic advice through various ways like Tarot readings, Numerology Readings, Chinese Astrology Readings, etc. and like above app this app also provides first 3 minutes free. Now let us highlight some of its key points. Huge customer base more than 3 million is one the biggest plus point of it. 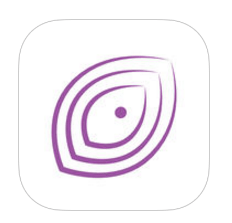 Free Psychic Reading Prediction app comes with a good review system, users can easily review any expert and can also check other users reviews very easily, they can also comment on experts bio and their reviews. Most of the Psychics experts are available 24 X 7. It pays full focus on customer data security and confidentiality. 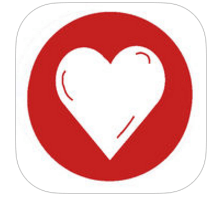 As you can get an idea from the name it’s self it is a Love Psychic Reading app which can help you in making better decision in love life whether you are going through a roller coaster of your love life their experts are always there for you. Now let us have a quick view on some its features. Highly experienced psychic experts are available which can share their experience and thoughts over various love life and marriage life problems. In fact, these experts can help in finding the perfect soul mate. Some of the experts can act as a medium and can provide a boost to your love life by contacting to your partner. It also has 3 million plus customer base with 95% satisfaction rate which is quite high. Sometimes chatting with the right person can help you in getting better tomorrow and a small advice can assist in getting better future, and Psychic Chat Reading app can help you in making the right decision of your life. Let have a look at some of its features. User-friendly experts are available to provide 24 hours service to their clients. There numerous types of specialties available and users can easily choose experts from these specialties. For each expert, a detailed profile has been provided which helps the users to select the expert according. Huge customer base ( more than 3 million) clears all doubts about the quality of service. It also provides first 3 minutes free for every new psychic. 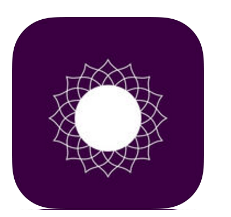 This is one of the best organized and user-friendly Psychics apps you could find in iTunes, and it comes with various benefits and let us explain each one of them in details in below part. First 3 minutes for a new psychic is free which can help you in getting best psychic for yourself. Try psychics until you get the best match for yourself. Proper sorting of experts has been done in it, sorting is done on the base of reviews, price, etc. These types of sorting are very useful in getting right expert. Unlike other platforms Psychic Mediums have great experts base, you could easily find an expert of your country to which you can connect quickly. 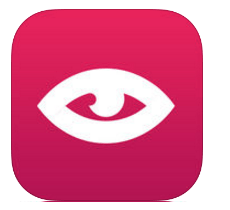 It is one of the most commonly used Psychic reading apps of the iTunes, and we have also reviewed it in our older post too. Kasamba is one the best platform to connect with some tarot card readers, palm readers, love psychics, mediums, fortune telling, astrology, dream analysis experts, clairvoyant, etc. It comes with good users interface and also give first three minutes free for each new expert and now let us highlight some of its key features. World best Psychic, Palm readers, Tarot Readers, etc. are available for 24 hours to serve their clients. 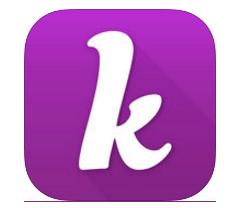 Huge client based with maximum number of satisfaction rate makes this app more favorable. It is one of the oldest online Psychic medium (more than 16 years) available on the net.